How can we build Muslim unity in one day? Of course, none of us can perform such an awesome task in 24 hours, but we can take small, meaningful steps to work towards that goal, especially on Eid day. 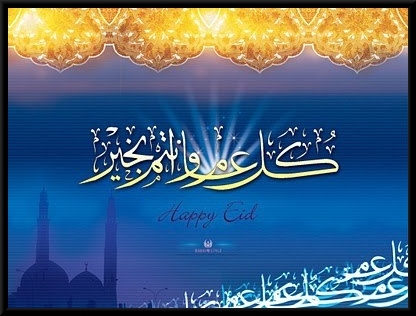 Eid is a day of joy and happiness. It's a time when Muslims of all colors, schools of thought and other variations come together to worship Allah collectively. We all commemorate the sacrifice of Prophet Ibrahim, Hajira and Ismail (peace be upon them). It's a great opportunity to take advantage of everyone's high spirits to do some unity building. Here are some suggestions of small things we can do to build Muslim unity this Eid. Allahu Akbar, Allahu Akbar, la ilaha illAllaah, Allahu Akbar, Allahu Akbar wa lilLahil Hamd, God is the greatest, Great is He, There is no god but God, God is the greatest, God is the greatest, Praise be to God. Muslims throughout the world will be united with this loud Zikr (remembrance of Allah) which we should do after each obligatory Salat from the fajr of the day before Eid to the Asr salat of the three days after Eid. The Prophet Mohamed (peace and blessings be upon him) also used to fast on the day of Arafa. Share with your family, friends and the local Muslim community what the Prophet (peace and blessings be upon him) said about Muslim brotherhood in his last sermon. If you have time and can afford it, print this out on small cards with an Eid greeting and distribute it on Eid day to as many people as possible. Unity building starts with the individual, and if you wake up Eid day in a cranky mood or show up to prayers snapping at people, you'll be the wrong candidate for this job. Prepare your clothes, transportation needs, etc. the night before so you're not in a mad, disorganized rush to get to the prayer hall on time. Also make sure to sleep early enough the night before so you're not exhausted. Some people sing in the shower to bring themselves into good mood. Smiling is charity, according to a Hadith of the Prophet (peace and blessings be upon him). What better day to smile than Eid, the meaning of which is happiness? Smiling shouldn't be reserved just for your family and friends or those you recognize. Extend a Salam gesture and a smile to any person you see on your way to Eid prayers in traffic, as well as at your prayer neighbor during Eid Salat. Smile at the kids playing happily at the hall. You'll feel good and perhaps you can encourage others to be in a good mood as well. Let the brother driving the huge van with his large family take the parking space closer to the Eid prayer. Be conscious about not blocking anyone's way on the street, at the hall, etc. Hold doors open for those behind you. Help a mother bring her child in a stroller down the stairs. Keep a smile on your face and a Salam on your lips while you do it. 6. Hugs and greetings for everyone. More hugs are shared on Eid day on the blue planet than any other day. Abdullah ibn Amr narrated that a man once asked the Prophet (peace and blessings be upon him) what aspect of Islam was the best, and he said: You should provide food and greet both those you know and those you do not (Bukhari, Muslim). Say Salam and hug the person next to you once the Khutbah is over. Isn't it ironic that sometimes we stand so physically close to someone in prayer (shoulder to shoulder) but completely ignore them once it's over? Hug your prayer neighbors and wish them Eid Mubarak. If you initiate, you have the higher reward. If they are alone, invite them over to your home or get their phone number and inform them of any Eid activities that are coming up in your community. They may be new to the city, or they may be new Muslims, so be as open and friendly as possible. This small act of kindness and consideration is a way to show that you care about a fellow Muslim because s/he is your brother or sister and not a stranger to be ignored. It is something which is greatly appreciated and helps build Muslims' ties to each other. You could also give candy or some other sweet, but a balloon is something that lasts a little longer and appeals to the tastes of almost all kids. Don't blow up the balloons, just give them out as they are, since some halls do not allow them for fear that they'll get stuck in air ducts or other places. Kindness to children is a way of bringing Muslims together. What parent wouldn't appreciate a person trying to make their kid happy on Eid day? Not only will this allow you to have a nice family outing on Eid day, but you'll be supporting a Muslim business. If the food and service meet your standards, put in a good word for the restaurant to your friends. Your support will be appreciated by the Muslim business and it's a way of building the Muslim economy. Don't forget to say Eid Mubarak to those working on Eid day. How often do you see Muslims thanking their leaders? About eighty percent of Imams and Muslim leaders in America are volunteers who work so hard for the community with no pay. Prophet Mohamed (peace and blessings be upon him) said that "He who does not thank people does not thank Allah" (Ahmad, Tirmidhi). While hugging and thanking them, ask them what they are doing for Muslim unity. Thanking people and expressing our appreciation spreads good feelings and encouragement, which are vital to Muslim unity. Volunteer to help clean up the prayer area after everyone has left. This is also a time when you may see Muslims who don't have family in the community or are new Muslims. Greet them and invite them over or at least inform them of any upcoming Eid activities. Helping with the clean up helps build community participation and will teach your kids a sense of service to the community. One sure way to kill Muslim unity is to engage in backbiting, gossip and slander against fellow Muslims. Make sure that such activities do not take place in your family in general, but especially on the blessed day of Eid. If there is an Eid luncheon, dinner or other event being organized by Muslims of an ethnic community different from your own, make a point of attending to build the bonds of brother- and sisterhood. Ya Allah, bless us with the middle path of the Prophet (peace and blessings be upon him). Bring Muslims together. Open the hearts of our neighbors. Help us serve humanity to please You. Ask the Imam to make dua for the unity of Muslims. We are free to enjoy Eid but there are those who are not. Our country , America, has one of the largest prison populations in the world. Among these prisoners, many are innocent people who just don't have enough money to fight the system and liberate themselves. Remember them in your Dua and think of doing something for those human beings who are not free to serve their Lord. Allahu Akbar, Allahu Akbar, la ilaha illAllaah, Allahu Akbar, Allahu Akbar wa lilLahil Hamd, God is the greatest, Great is He, There is no god but God, God is the greatest, God is the greatest, Praise be to God.